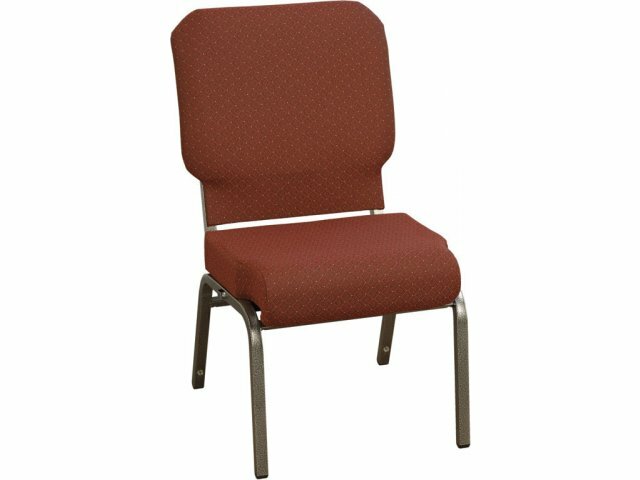 Durability, comfort and practical features all come together in these Roll-Front Church Chairs from KFI. Specially designed to create a pew-like effect, these church chairs allow you to seat your congregants in comfort and style. One-inch, 18-gauge steel tubing frames are built to withstand the rigors of constant daily and weekly use, and have three under-seat stretcher bars for added strength. 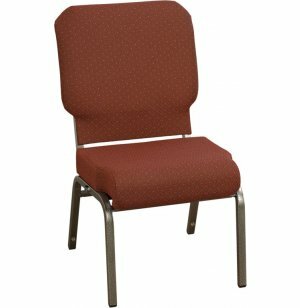 The 3-inch, padded roll-front seat provides extra comfort and knee support, while the thick foam-cushioned back and built-in lumbar support let congregants sit in comfort throughout services. The attractive wingback-design, along with factory-welded connecting devices, help form attractive pews. 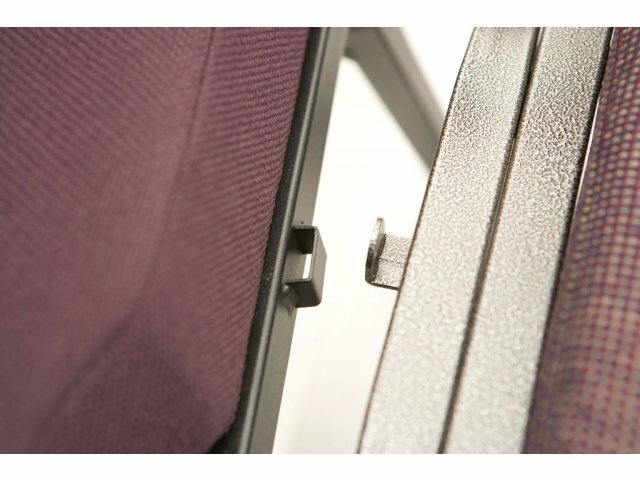 Stacking bumpers and floor glides are included to prevent chairs and floors from scratching. Available in a rich selection of upholsteries and fabrics, these beautiful church chairs will give your sanctuary an added touch of warmth and grace. A stretcher bar strengthens the seat to support higher weight capacities. Super-Strong: One-inch, 18-gauge built-to-last steel frames feature under-the-seat stretcher bars and have been weight-tested for a capacity of 400 pounds. Ergonomic Comfort: Roll-front seat and built-in lumbar support help prevent knee and back pain that often result from sitting for long periods of time. 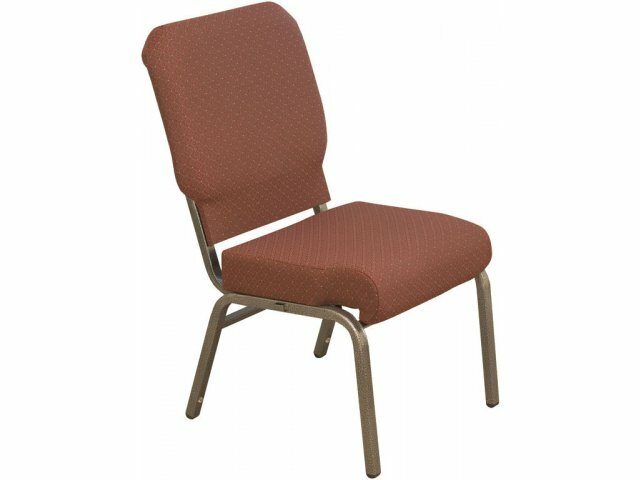 Thick Padding: Three-inch thick seat padding and 1.5-inch thick back cushion make these church chairs unusually comfortable. No-Scratch Stacking: Stacking bumpers let you stack chairs 6-8 high, with no scratching. No-Mar Glides: Non-marring floor glides included to protect your floors from unsightly scratches. Built-In Ganging: The chairs feature a built-in connecting device so you create permanent pews in any formation you wish. 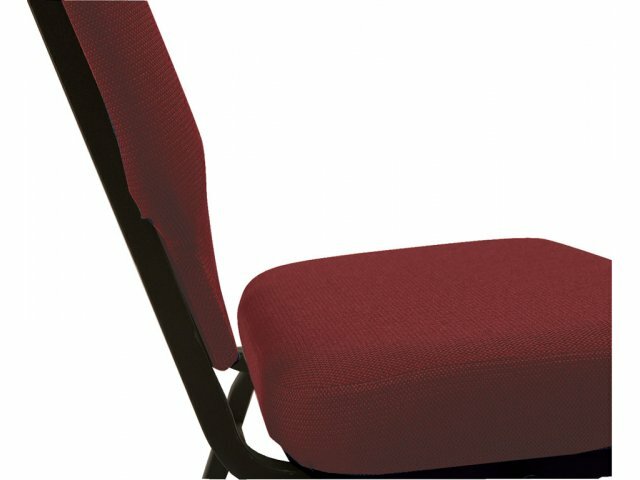 Beautifully Upholstered: Wide choice of beautiful upholsteries and fabrics allows congregations to revamp seating without changing their current color scheme.